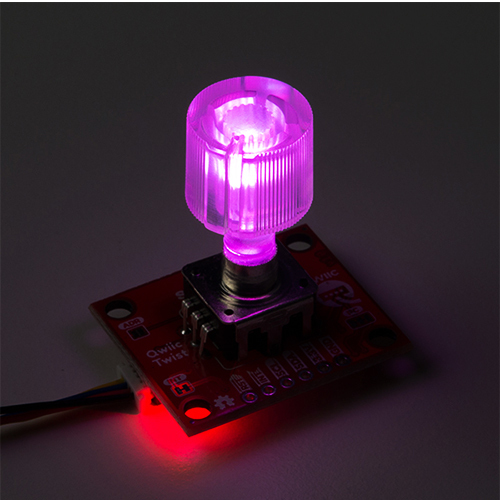 The SparkFun Qwiic Twist is a digital RGB rotary encoder breakout that is also able to connect to the Qwiic Connect System. 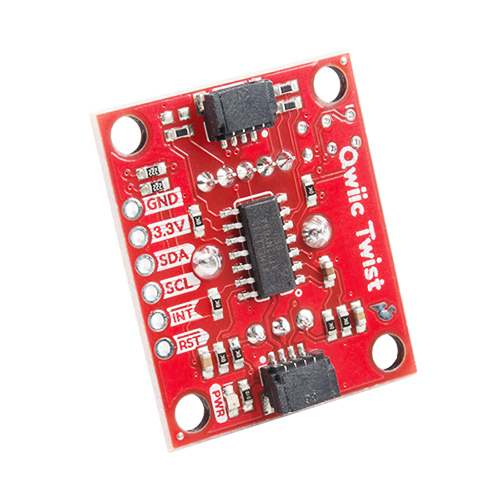 The Twist takes care of all the various interrupts, switches, PWM'ing of LEDs, and presents all those features over an easy-to-use I2C interface. 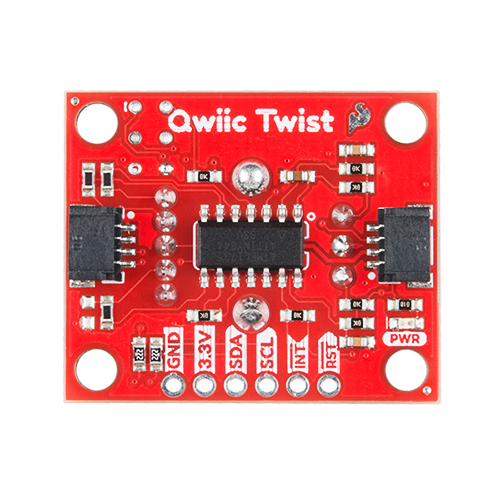 The Qwiic Twist was designed to get rid of the large mass of wires that are needed to implement an RGB encoder in a breadboard enabling you to stop messing around with interrupt debugging and get back to your project! 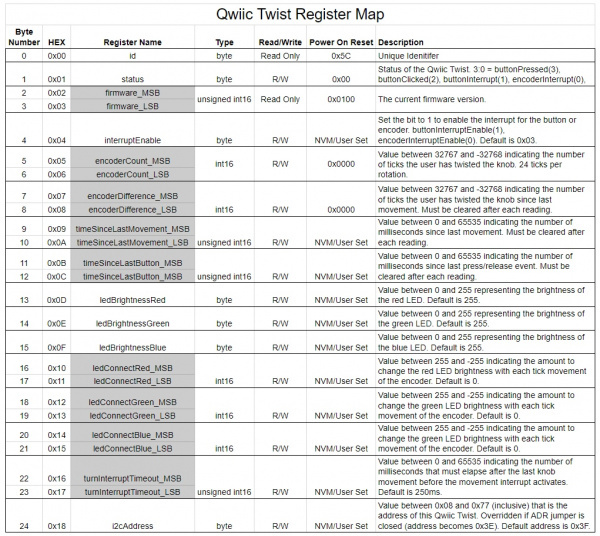 Utilizing the handy Qwiic system, no soldering is required to connect it to the rest of your system. 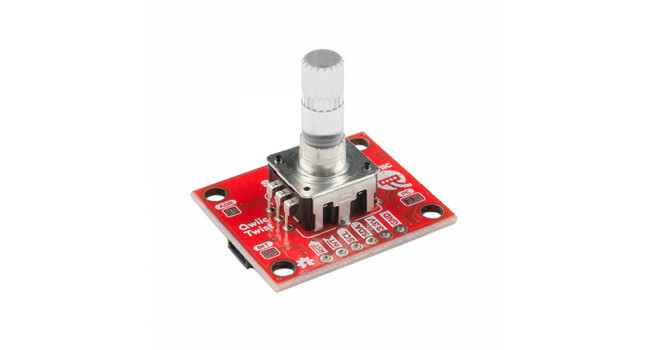 However, SparkFun still have broken out 0.1"-spaced pins in case you prefer to use a breadboard. One rotation in the clockwise direction for the rotary encoder increases the overall count by 24 and -24 in the counter-clockwise direction. 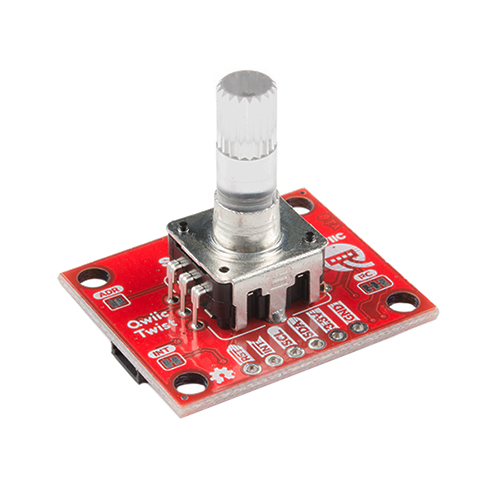 The number of ‘ticks’ or steps you have turned the knob are all transmitted over I2C. The red, green, and blue LEDs are all set via software commands and can be digitally mixed to achieve over 16 million colors! 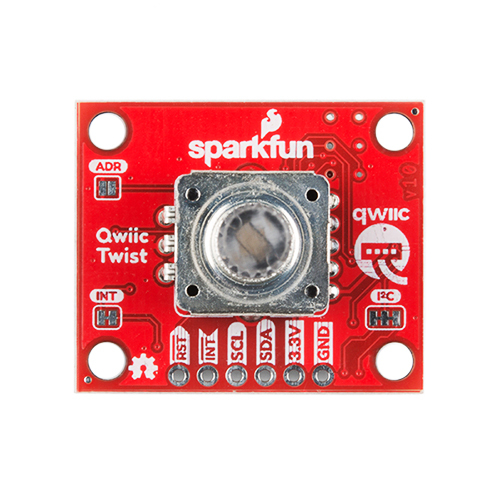 SparkFun have designed Qwiic Twist with an indent encoder which gives the user a great ‘clicky’ feel. Additionally, the encoder has a built in button so the user can select an GUI menu or element by pressing down on the it.